Business is booming for a South Bay company thanks to California's severe drought. 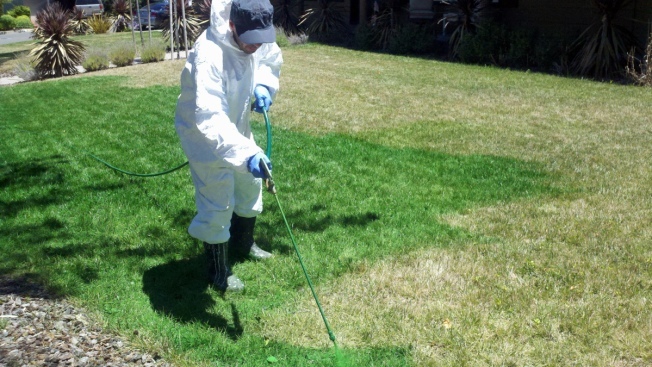 Los Gatos-based Green Canary has been painting lawns that have turned brown due to a lack of water. The company uses green, water-based paint to transform grass that has turned drought dull. "This is environmentally sound," said Shawn Sahbari, Green Canary's president. "We engineered it so that the green paint is kid-friendly and pet-friendly." Green Canary has also helped golf courses, soccer fields and cemeteries impacted by the drought. San Jose's Almaden Valley Athletic Club plans to use the service to keep the front lawn green while using 90 percent less water. "One of the main reasons was the concern of members who wondered what are we doing as far as conservation," said Jeff Griffith, the club's general manager. Sahbari said the paint will not kill grass and lasts at least three months.